Motorhome versus Fifth Wheel? This is a decision that has perplexed many an RVer, especially those bound to be fulltimers. lifestyle, individual preferences and priorities. And then there is the subject of gas mileage. Yes, the motorhome will use a lot of fuel. But so will a big truck. Compare potential MPG for the long trips to take the RV from point A to point B. But don’t forget the day to day travels about town once you have reached your destination – now you will be comparing the tow truck vs. the dingy you choose to tow behind the motorhome. although the 4-slide motorhome is pretty spacious. fridge, etc.) when the slides are retracted. to safely use the space. your toys and bring them along with you. heard arguments on both sides of the fence. 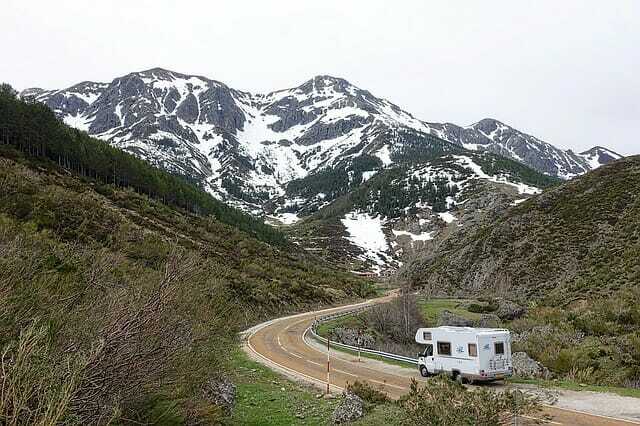 We have also heard the general characterization that a motorhome is better for those RVers who move frequently, and that a fifth wheel is better for those who stay put for a longer period of time. This may or may not be true for everyone. However, as a practical matter… if your regular routine is to park the RV for months at a time in a single location, think twice about paying to maintain a motorhome engine. Motorhomes are designed to be driven. an extra first step into the RV. wheels will have a couple stairs to get to the bathroom/bedroom area. with your RV and tow vehicle. wheels, trailers, truck campers and so on.
. Avoid the pitfall of being “penny wise and pound foolish”. Back to the question of motorhome versus fifth wheel. The best advice we can give is to carefully consider your sort of RV lifestyle. It is the key factor in deciding on the best choice for you.